Creative Director Vanessa Cocchiaro has lots of art and photography books inside her Parisian home, which she clearly draws color inspiration from. 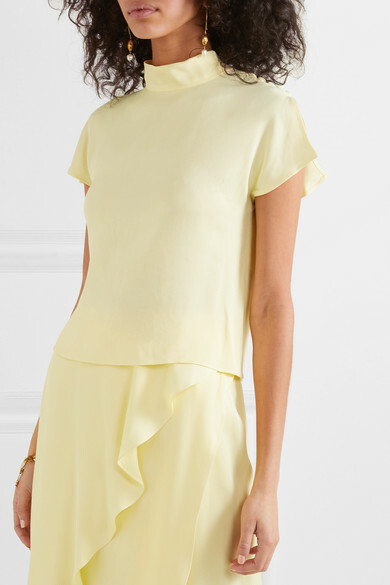 This version of Les Héroïnes' 'Tammie' top is made from washed-crepe in a fresh yellow hue she likens to lemon sorbet. 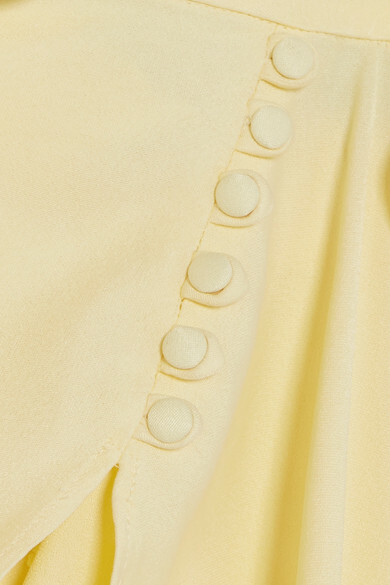 It's detailed with vintage-inspired covered buttons and splits at the sleeves to make them floaty. 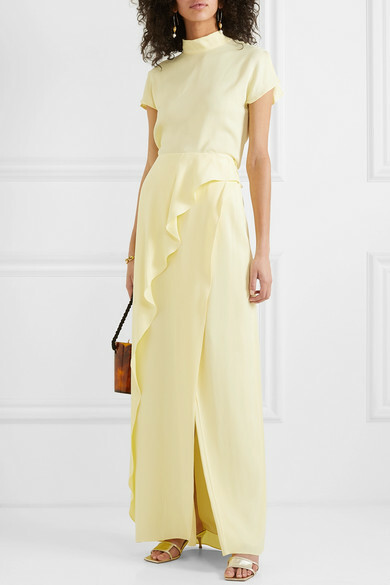 Shown here with: Les Héroïnes Skirt, Montunas Shoulder bag, BY FAR Mules, Paola Vilas Ring, Alighieri Earrings.